The call of the wild is never far from the lush comfort of Nepal’s premier jungle resort. Established in 1989, Temple Tiger Green Jungle Resort is a pioneer in Nepal’s wildlife tourism. Originally situated in Chitwan National Park, the resort was re-located to the buffer zone area at Amaltari Ghat, Nawalparasi in 2012. The re-location took place after the government decided to remove hotels and jungle lodges from the national park. 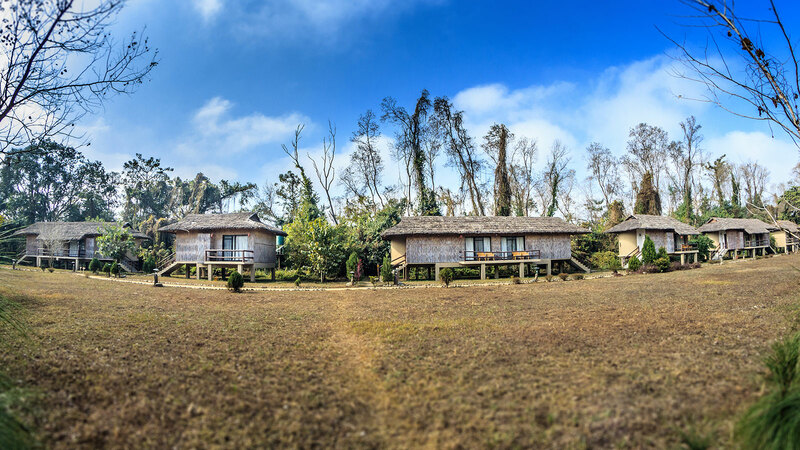 Within its lush surroundings, Temple Tiger Green Jungle Resort gives the best jungle wilderness experience within close proximity to Tharu and Bote villages. The resort is at distance of 40km from Bharatpur Airport and 35 km away from Narayanghat, on the way to Siddhartha Highway. 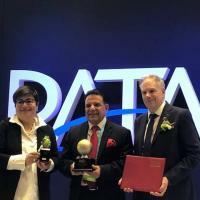 “We are committed in promoting sustainable tourism and preservation of the environment,” says Basanta Raj Mishra, executive chairman of Temple Tiger Green Jungle Resort. “We follow rigorous measures to ensure the environmental impact of our activities is minimal,” he adds. Having 20 huts with modern facilities, the resort welcomes 2,000 to 2,500 guests annually. The quality of service, variety of activities and excellent ambience has led Temple Tiger Green Jungle Resort to receive higher levels of ratings and reviews from different renowned travel websites. For instance, the resort has received a four and a half star rating from the US-based travel and restaurant website Tripadvisor for its outstanding hospitality and accommodation. Similarly, the world’s largest travel guide book Lonely Planet and the Indian website Trivago have also praised the resort for its services. The resort comprises of 20 well-equipped small huts that have been built using local construction materials. 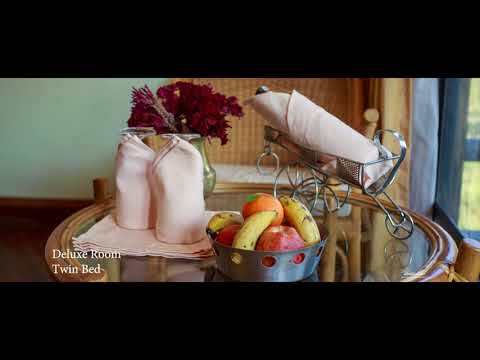 The huts have all modern amenities like cozy beds, air conditioning and attached bathrooms. A stay at the resort becomes even more wonderful with the warm Tharu hospitality in a place which is surrounded by lush greenery. The huts have been designed in such a way that the feeling of serenity can also be enjoyed from the balconies. Similarly, the resort’s big round dining hall decorated with Nepali utensils is a relaxing place to enjoy delicious food served in traditional Nepali utensils. Guests can enjoy a variety of Nepali delicacies along with continental breakfast and dinner according to their preferences. 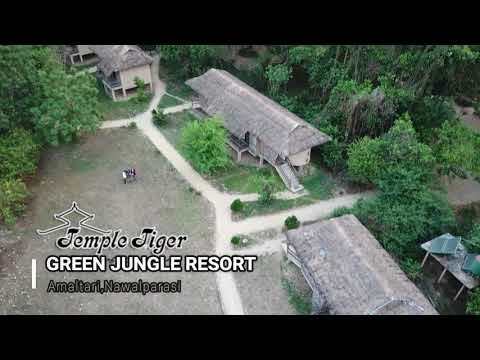 Temple Tiger Green Jungle Resort is adding 40 huts in the near future. The resort is also planning to construct a conference hall which can accommodate 200 people at once. Temple Tiger Green Jungle Resort prioritizes in providing employment opportunities to locals. The company conducts different training sessions to enhance the capacity of its employees on a timely basis. The resort also hires extra personnel in the main tourist season. 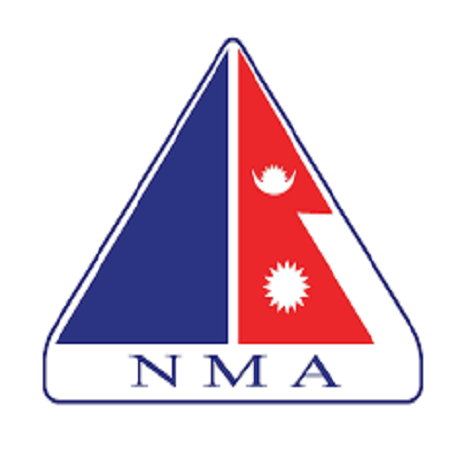 “We need around 100 staff in the business season for the resort excluding our employees in Kathmandu,” informs Mishra. Altogether, Temple Tiger Group of Companies employs over 200 individuals at present. Temple Tiger Green Jungle Resort has always focused on environmental conservation and tourism in a way that both factors complement each other. “We want tourists to stay as long as possible,” shares Mishra. “We look for high spending tourists to stay for a minimum of seven days and trekking tourists a minimum of two weeks,” he adds. 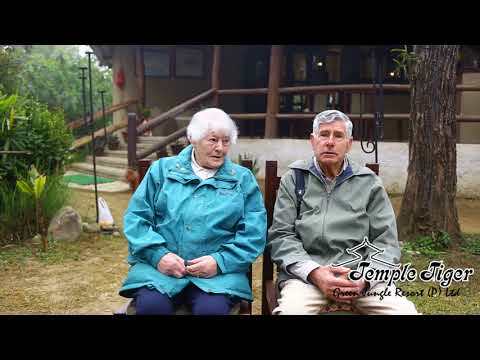 Temple Tiger Green Jungle Resort does its international marketing in such a way that the tourists from markets including US, UK, Germany, France, Italy and Spain are encouraged to visit Nepal. In the meantime, it has also been focusing on welcoming tourists from other growing markets, including India and China. According to Mishra, other countries on the American continent and Eastern Europe are untapped markets for Nepali tourism. “We should go for a mix market,” opines Mishra. In the meantime, the resort also employs other marketing techniques to attract domestic guests. For example, Temple Tiger Green Jungle Resort charges only for food and provides free accommodation to students who are on educational excursions. Mishra believes that domestic tourism in Nepal has good prospects. “Nepalis have started realising the importance of travelling. Rising disposable income has been a major supportive factor to fulfill their desire for tourism. People now-a-days learn the importance of travelling from their schools,” he says. The major strength for the resort is the quality of its service. “Maintaining the quality of service is very important for us to make tourists visit us again and again. This helps us to spread the word about the quality of our service,” says Mishra, adding, “We believe in word of mouth as the best marketing tool.” The resort offers a range of packages from Narayani River boating, to elephant rides, ox-pulled cart rides, jeep safari and jungle walks, wildlife presentation and Tharu cultural shows. Mishra started his career in tourism in 1977. This sector still is a core business for him. “For 10 years, I operated a destination management company. Later, I established the Adventure Travel as my second venture in partnership with Tiger Tops,” he recalls. 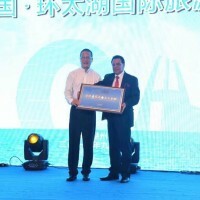 He started in wildlife tourism in 1988 after establishing the Temple Tiger Group of Companies. Over the years, the group has become a major adventure tourism service provider with its companies specialising in wildlife tourism/ jungle lodge, trekking, rafting, leisure travel, cultural tours, charter handling and special tours. According to Mishra, Nepal used to have an absolute monopoly in adventure and wildlife tourism in the 80s and 90s. 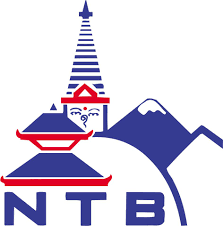 “Nepal used to be a preferred destination in terms of eco-tourism among the Asian countries back then. 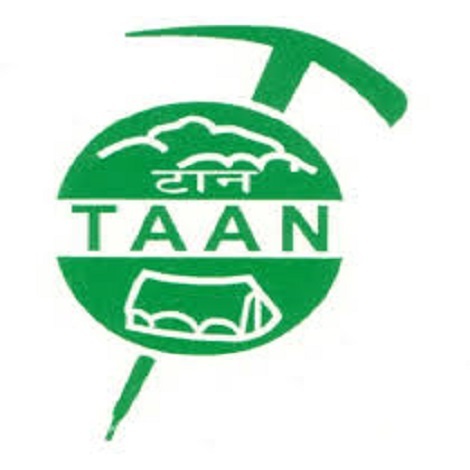 But the attraction of Nepal declined due to the gradual exploration of new destinations in other parts of Asia,” he says. Despite this, he observes an immense potential for eco-tourism here. “Nepal is still viewed as a destination next to Africa in terms of wildlife tourism,” he expresses. The relocation initially brought some difficulties for the resort as it was forced to leave the place where it was established. “Our products were diluted when we took out our hotel from Chitwan National Park,” he says. According to him, high spending tourists used to visit the area when there were hotels inside the park. “The number of such guests has declined after the relocation,” he mentions. Negative publicity has been the main factor affecting wildlife tourism in Nepal. The moves made by animal rights activists in recent years to ban elephant safaris, for example, has been a major concerning factor for wildlife tourism businesses like the Temple Tiger Green Jungle Resort. “Citing elephant rides as exploitation of the animal is in fact a misguided interpretation. The elephants are very well treated. Elephant rides which is an important part of wildlife tourism Nepal, are a major source of income for many locals and businesses,” opines Mishra. According to him, banning the elephant ride will leave no other option other than to run jeeps over the national park for safaris. “What will be the ecological condition of the Chitwan National Park and the wildlife habitat over there if we start running vehicles in large numbers?” he questions. Mishra suggests the government should set benchmarks to provide licenses to operate hotels. Similarly, he also asks for a controlled approach in wildlife tourism. The government’s decision to remove hotels and resorts from CNP has resulted in the opening of new hotels outside the national park in large numbers creating an environment of unhealthy competition in the business. “Wildlife tourism is not mass tourism,” says Mishra, adding that unchecked competition has hampered the quality of products and services. According to him, the government needs to come up with a long-term vision and rethink the barring of hotels inside CNP. “The authorities should conduct proper research and make decisions accordingly in this regard,” he mentions. “Also important for the government is to provide licenses to the experienced and qualified people who have knowledge about managing wildlife tourism effectively,” he adds. Mishra hopes for a favourable business environment after the formation of the new government which he thinks will bring political stability in the country. “We will put our problems in front of the government and hope that the issues are resolved,” he says. Temple Tiger Green Jungle has helped the local residents to construct a road connecting the resort area to the highway. Similarly, the resort is supporting two local schools. According to Mishra, every group arriving at the resort visits the schools and provides supporting materials to students such as stationary and sports materials. Likewise, the resort is also helping the local hospital and provides transport for locals during emergencies.